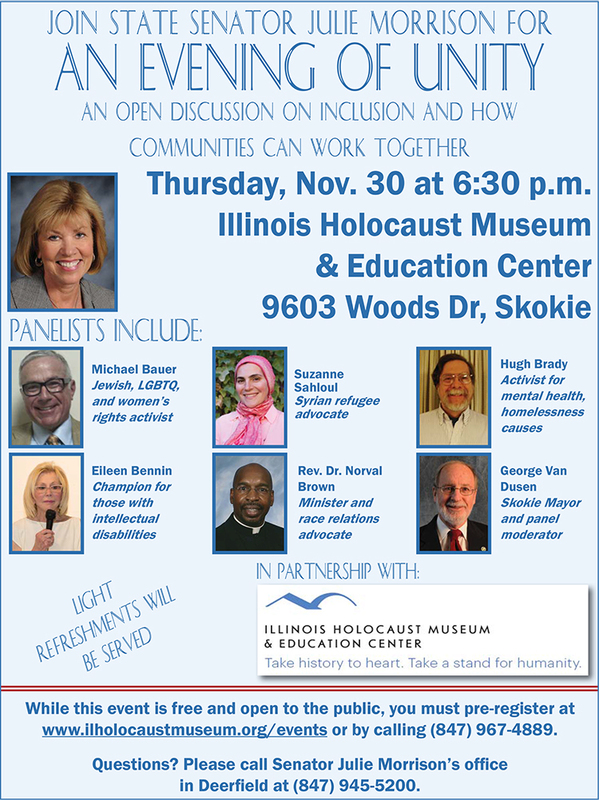 Join State Senator Julie Morrison for An Evening of Unity, taking place on Thursday, November 30 at 6:30p.m. at the Illinois Holocaust Museum and Education Center (9603 Woods Drive, Skokie). The event will provide an open discussion of the important issues facing our neighbors, communities and nation. Panelists will share what inspired them to take action and become an advocate for the issues important to them - and how you can become involved as well. To register, please call the Illinois Holocaust Museum and Education Center at (847) 967-4889 or register online at www.ILHolocaustMuseum.org/Events. Please contact Senator Morrison's office in Deerfield at (847) 945-5200. 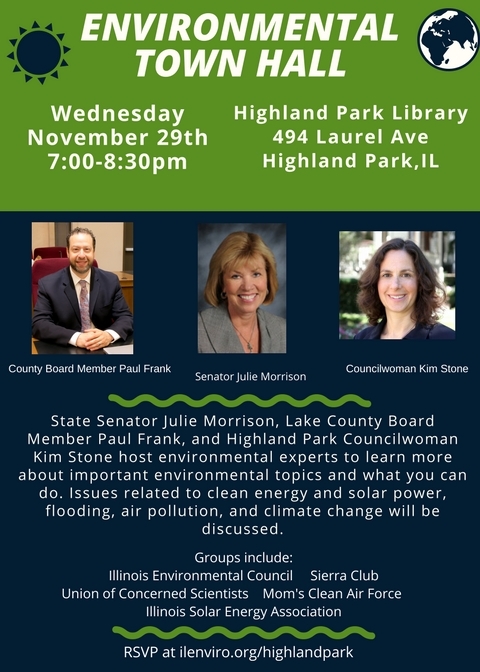 Join State Senator Julie Morrison, Lake County Board Member Paul Frank, Highland Park Councilwoman Kim Stone and environmental experts to learn about important environmental issues and how you can take action. To RSVP, please visit www.ilenviro.org/highlandpark. 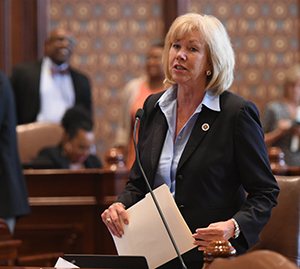 Senate Resolution 1076 that creates a task force that will examine legislative changes to maximize protections for those victimized by sexual discrimination and harassment. All four proposals passed the General Assembly this afternoon. 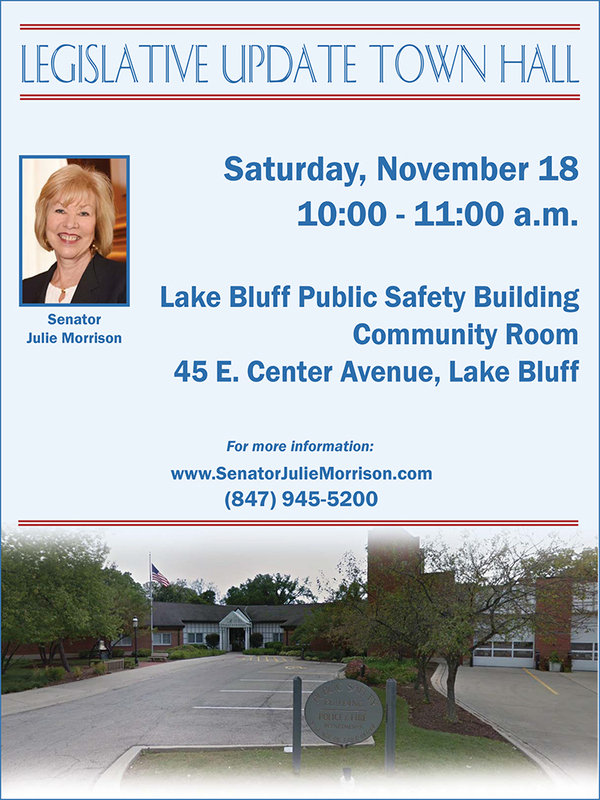 Join State Senator Julie Morrison for a Legislative Update Town Hall, taking place on Saturday, November 18 at 10:00a.m. at the Lake Bluff Public Safety Building. Please contact Senator Morrison’s office in Deerfield at (847) 945-5200.